In this video, I do a review/overview of Xfer Records’ Serum by Steve Duda. There is way too much to cover in such a short time, but expect more video tutorials and examples to come. 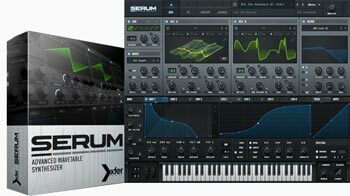 Serum is one of the best synths I’ve ever used. Check out xferrecords.com to purchase this VST. It’s a little bit CPU intensive, but it’s well worth the money in my opinion. Very happy with my purchase.